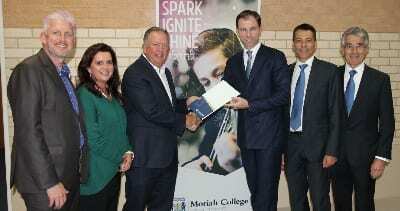 Sydney’s Moriah College has announced a new scholarship to inspire entrepreneurship and innovation among Year 11 students. Successful applicants will be awarded an all-expenses paid week-long trip to Israel to showcase leading Israeli start-ups and entrepreneurs. 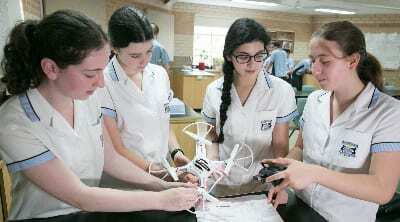 As part of Moriah’s continued focus on innovation, John Hamey, College Principal, stated that scholars would be given the opportunity to tap into the spirit of Israel’s Start Up Nation through this specially curated program. “We’re very excited to launch The Moriah College Scholars in Entrepreneurship, an initiative sparked by Kelly+Partners Scholars that underlines our commitment to help our students become future-ready, ground-breaking young adults that are prepared for a world that’s changing fast,” Hamey said. Scholars will travel to Israel for a week-long immersive experience, meeting with entrepreneurs, and hearing about what sparks their curiosity and ignites their passions. It’s a first for an Australian Jewish day school and has been designed together with the Australian- Israel Chamber of Commerce. Program costs are fully covered thanks to the generous support of Kelly+Partners Scholars, who’ve made a ten-year commitment to supporting this initiative in collaboration with The Moriah Foundation. He commended the program to any student who wants to grow and learn and be inspired, come back to Australia and build a business that makes a difference to the community. The Scholars program has a strong social justice focus and students will be invited to make a pitch to a panel about an issue or problem that they are trying to solve or address and why it may be important to others. Selected Scholars will have this intensive study experience in October 2017 and will gain rich insights from organisations such as Our Crowd, Technion, Mobileye, Google Campus, Tel-Aviv University, Netafim, SpaceIL, and many more.